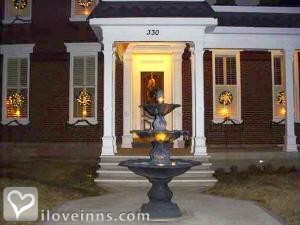 Jeffersonville bed and breakfast travel guide for romantic, historic and adventure b&b's. Browse through the iLoveInns.com database of Jeffersonville, Indiana bed and breakfasts and country inns to find detailed listings that include room rates, special deals and area activities. You can click on the 'check rates and availability' button to contact the innkeeper. Along the Ohio River is where you can find Jeffersonville City. It is to the north of Louisville right across the Ohio River. If you decide to visit this city, and you should, you will be amazed at the mix of restaurants that line up the riverfront and in downtown Jeffersonville. Do not miss out on the smaller restaurants located in the area that they call The Quadrangle and in the same area is where you can find most of the shopping centers as well as the town hall. Jeffersonville has been put on the map because it is where the famous Papa John's Pizza started. While staying at any of the Jeffersonville bed and breakfast inns, ask for directions to the Howard Steamboat Museum. Do not miss out on the restored buildings of Italianate, Queene Anne, Federal, Victorian Gothic and other styles. Jeffersonville near the southern border of the state of Indiana is named after Thomas Jefferson because the residents of the area in the early 1800s used the pattern designed by the great statesman himself. Beautiful architectural buildings constructed are still standing and have become historical sites in the city. Some Jeffersonville bed and breakfast inns themselves were built using similar classic antebellum designs. In taking a tour around the city, you'll want to visit the Schimpffs Confectionary. This factory is only half a mile away from the center of Jeffersonville. Visitors are usually given candies. Another worthwhile trip would be to the Howard Steamboat Museum and Mansion. The city is also the birthplace of a pizza chain, Papa John's Pizza. By Market Street Inn. Jeffersonville, Indiana, is on the Ohio River directly across from Louisville, Kentucky. Known in the 19th century for the steamboats manufactured here, Jeffersonville is still a major inland boat manufacturer now know as JeffBoat. Remnants of the old days can still be seen at the Howard Steamboat Museum directly across from JeffBoat. Recent riverfront development with downtown retail and recreational features make Jeffersonville a popular destination. Jeffersonville has several waterfront restaurants, restaurants located in the historic commercial district, offices, and retail shops. Our Waterfront enhancements include the addition of recreation and public space at the beautiful Terrace Lawn incorporated with the historic Overlook. Future Plans include opening the Big Four Bridge (pictured above) as a pedestrian walkway connecting Jeffersonville to Downtown Louisville, the historic Quadrangle project has become the new city hall with commercial space, and the transformation of the former Carnegie Library into a historic museum and meeting facility.